Drones are really cool right? Love racing them and shooting videos? Like of your neighbors? Just making sure they’re not up to no good? For the good of the community. right? If that sounds creepy and unsettling to you, then you might want to get used to the idea, CCTV.co.uk thinks that drones are the future of security. 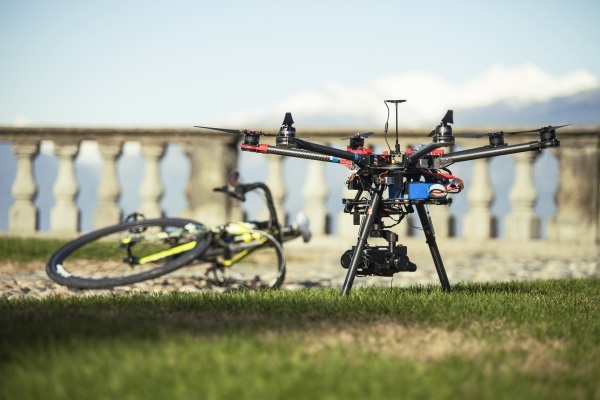 The security company believes that drones are the next step in keeping our streets safe. They’re quiet (compared to patrol cars or foot traffic) and cameras can be attached to them to monitor activity from a distance. They even have plans to outfit them with Bluetooth to stream important information to the cops to deter criminal behavior. Now, to be fair, it does sound like it could be useful at night for patrolling large areas, say warehouses and factory compounds but using this tactic in environments that people just live in seems invasive and a lot like something Big Brother would suggest for the good of the country. Honestly, this is one vision of the future we hope never comes to pass.